AQHA Race SI-65, 1-0-1-0, $0. Breeder: F. L. Wilson, El Monte, CA. Owner: W. F. Stoody, Whittier, CA. 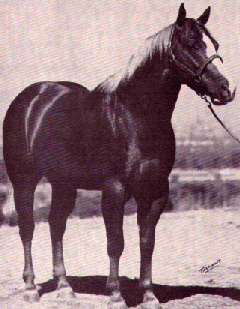 1948 Champion Los Angeles PCQHA show 1947, other shows, trail horse, hackamore, cutting, roping & stock horse classes.